A collection of art and jewellery has been stolen from a home in Horncastle. 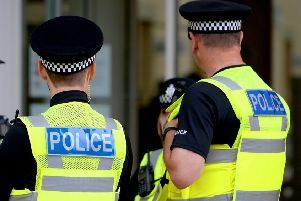 Police are appealing for information about a burglary that took place at the property in Stanhope Road, Horncastle, between Sunday April 9 and Saturday April 15. * Tools, including hedge cutter, strimmer, floor steam cleaner and two stepladders. Anyone with information is asked to contact us on 101, quoting incident number 129 of 14th April.